Launiupoko is a favorite hangout and surf spot for tourists and locals alike. 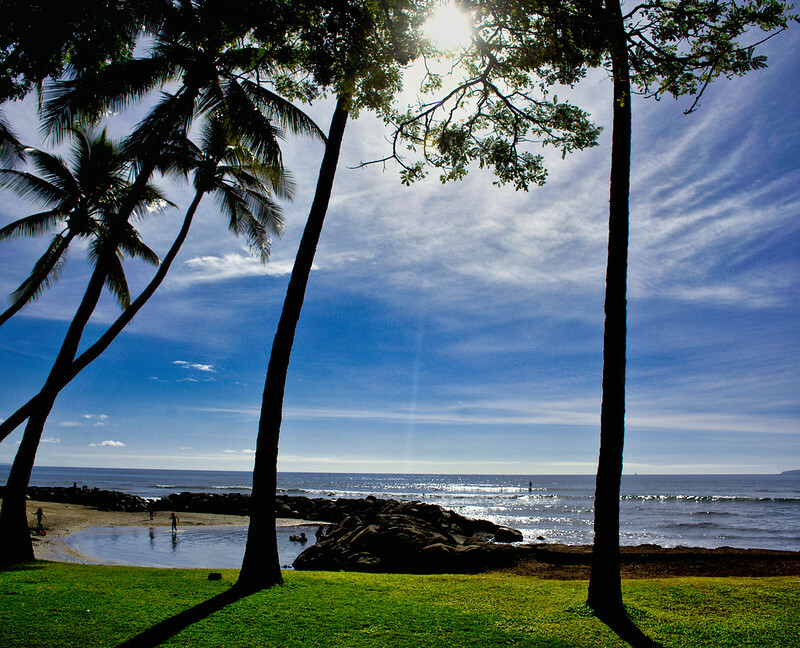 Located between Olowalu and Lahaina on the shores of West Maui, head here for a relaxing day of fun in the sun. The shallow water formed from the surrounding lava rock wall creates calm swimming conditions for small children and adults uninterested in wave action. Longboard surfers love this spot for the fairly consistent break beyond the lava rock wall as well. On rare occasion, swells will squeak through and make for decent shortboarding too. This is a two shot vertical panorama, stitched using Panorama Maker 6. Image published by Kirt Edblom on 2018-11-29 18:42:51 and used under Creative Commons license.